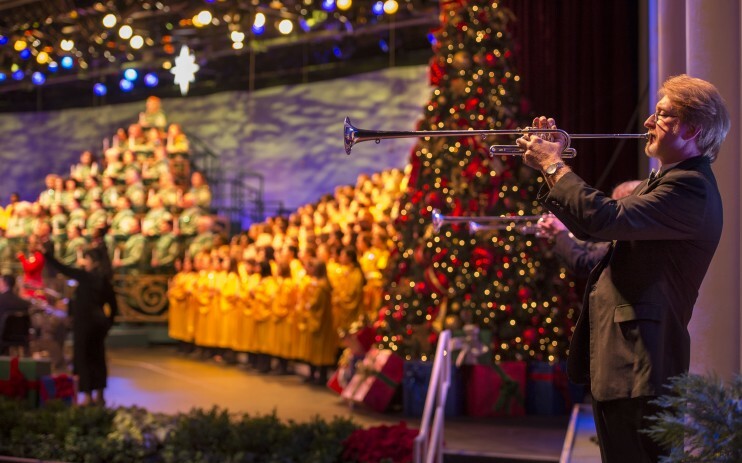 Guests may purchase Candlelight Dining Packages to reserve a seat at the Candlelight Processional. These packages include a delicious meal and a guaranteed seat for one of the Candlelight Processional performances. There are breakfast, lunch, and dinner packages available. Breakfast costs $38.99 for adults and $22.99 for children, lunch ranges in cost from $37.99 to $60.99 for adults and $12.99 to $24.99 for children, and dinner pricing is $51.99 to $75.99 for adults and $16.99 to $33.99 for children. Each meal includes an appetizer, entrée, dessert and non-alcoholic beverage (or buffet depending on the location selected). Prices do not include tax, gratuity, or the required park admission. Participating restaurants include Rose & Crown Pub and Dining Room, Coral Reef Restaurant, Biergarten Restaurant, The Garden Grill Restaurant (serving breakfast, lunch and dinner), Nine Dragons Restaurant, Restaurant Marrakesh, Spice Road Table, San Angel Inn Restaurante, Via Napoli Ristorante e Pizzeria, Les Chefs de France, Tokyo Dining, Teppan Edo, Tutto Italia Ristorante, and La Hacienda de San Angel. Guests may call 407-WDW-DINE for reservations or book online by clicking here. Hurry – Availability is limited!